The Port of Visby, which falls under management from the Port of Copenhagen Malmo, is seeing its cruise traffic double year-over-year to 90 calls. Helping drive that has been a completely new cruise terminal, said a spokesperson, capable of taking ships up to 360 meters in length. The quay offers a water depth of 11 meters and has all the necessary connections to discharge black and grey water, he said. Work started on the new terminal in winter of 2016, with the inauguration having taken place this past spring. With an optimal port location, passengers can easily walk to most of the key locations in the city. 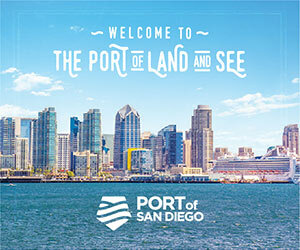 The port is targeting 130 calls and 150,000 annual cruise guests by 2023. "It concerns location, location, location – in other words, that Visby has an attractive geographic position and is located at the right distance to suit cruise tourism in the Baltic,” added Arnt Møller Pedersen, COO, Cruise & Ferries within CMP. "Today many cruise ships already call at Gotland and the capacity development that is currently underway will produce entirely new opportunities for us."